Protect your digital camera/camcorder lens. 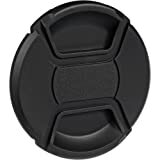 Protects the front portions of your lens from water, dust, and scratches.Center pinch design allows easy attachment and removal, even with a lens hood in place.High impact black plastic. A unique 100mm mid-telephoto lens featuring STF (Smooth Trans Focus) technology that can elevate portraits and subjects that benefit from smooth background bokeh to new artistic heights while boasting G Master resolution. It also offers close-up capability with up to 0.25x magnification and fast, precise and quiet autofocus. Optical SteadyShot image stabilization minimizes blur.Unique Smooth Trans Focus G MasterG Master design combines extraordinary sharpness and smooth Bokeh in one lens. STF (Smooth Trans Focus) realizes an ultimate collaboration of impressive bokeh and high resolution that only Sony can offer. It is not easy to achieve spatial frequency of 50 line pairs per millimeter at a lens' widest aperture and produce smooth beautiful bokeh at the same time, but that is Sony's baseline for G Master design. Unprecedented resolution and other demanding design parameters yield outstanding reproduction of the most detailed subjects and scenes with superior contrast throughout every frame. G Master resolution is simply the highest in its class.Apodization element eliminates distortion of defocused highlightsA unique feature of the STF lens is the special optical apodization (APD) element which produces exceptionally smooth background and foreground bokeh. The APD element acts as a graduated neutral density filter, with light transmissivity highest at the center and then gradually decreasing towards the periphery to ensure extraordinarily smooth bokeh. The APD element ensures equally smooth foreground and background defocus, without double-line effects.Direct Drive SSM (DDSSM) for fast, quiet, precise focusingThe SEL100F28GM lens supports both contrast AF and focal-plane phase detection AF, and has a high-precision Direct Drive Super Sonic Motor (DDSSM) system that ensures exceptionally fast, quiet and accurate AF performance. The focusing system's double linear motor takes on the vital role of providing high-speed actuation for the AF contrast detection system when shooting video.Selectable Macro mode - two lenses in one.Besides being a perfect portrait lens, the SEL100F28GM incorporates a convenient ring-switch on the lens barrel to select from full range to a macro range. With close-up focus capability up to 1.87ft. (0.57m) min. and 0.25x max. magnification. It's like having two lenses in one.Significantly reduces blurHigh-performance Optical SteadyShot image stabilization is built right into the lens for sharp, blur-free images with a wide range of subjects. The stabilization lens is driven by a linear motor for fast, precise stabilization. Additionally, 5-axis image stabilization becomes available when used with a (Alpha) series cameras that feature built-in image stabilization.Manual aperture ring w/ selectable on/off click for stills or movieA responsive manual aperture ring offers positive action that will satisfy professional photographers and moviemakers alike. The aperture ring click stops can be switched on or off as required. Off is the preferred setting for moviemaking since it results in the least aperture operation noise. When On the ring provides tactile feedback that is useful when shooting stills. Since this lens incorporates an apodization (ADP) lens element, the aperture ring is calibrated for F-stops and T-stops. Perfect fitting replacement lens cap, keeps your camera lens clean and fully protected.This is a non-OEM product. Accessory ONLY. For CALIFORNIA residents only: WARNING: This product contains chemicals including DEHP, which is known to the State of California to cause cancer and birth defects or other reproductive harm.Please note that by posting this Proposition 65 warning, we are notifying you that one or more of the Proposition 65 listed chemicals may be present in a product. With Unique Bargains' products, the exposure to these chemicals may be of no significant risk to you, but out of caution, we have elected to place this warning on our site to make sure our customers are informed.You can find more infomation at http://www.oehha.ca.gov/proposition-65/about-proposition-65. 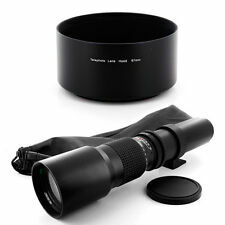 Ideal for Use with Lens Hood. Snaps onto the front of the lens with a spring type retainer ring. Protect your Nikon investment with genuine Nikon lens, teleconverter and camera body mount caps. 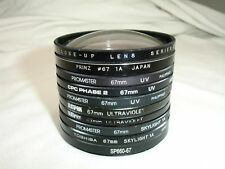 Lens caps protect the front and rear portions of your lenses and teleconverters from dust, smudges and scratches. Camera body mount caps protect the mirror box and reflex mirror when a lens is not affixed to the camera body. 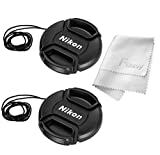 The 67mm Snap-On Lens Cap from Nikon is a black, plastic, snap-on type lens cap designed as a replacement for 67mm lenses. Lens caps protect the camera's lens from scratches, dust, moisture, and fingerprints when the camera is not in use. Protects your lens from dust, scratches, water damage..
Replaces Nikon LC-67 Lens Cap. 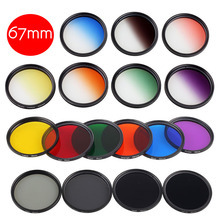 Fits Nikon Lens with 67mm Filter Diameter.